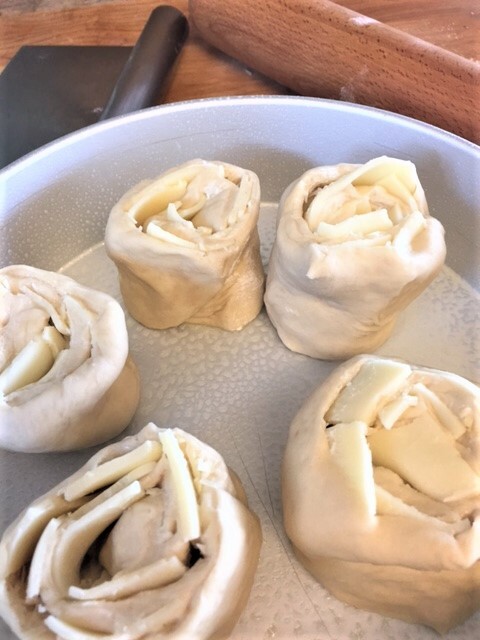 Gooey rolls, oozing with cheese, buttery, soft…….and fun to eat. This is an OMG bread. 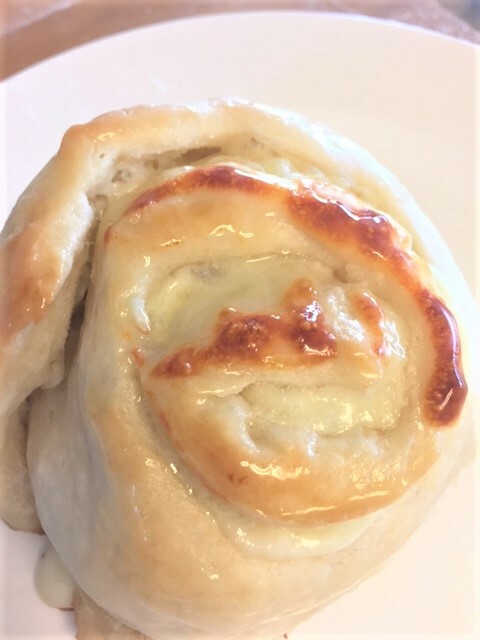 What makes it fun to eat, is that you roll out the dough and roll it up like you would with cinnamon rolls. But instead of cinnamon and sugar on the inside, you have garlic and cheese…….and butter. Are you drooling yet? They look really incredible…a little something different, ya know? If you like making yeasty doughs, then by all means do it. I love to make yeast breads and rolls. But if you’re not into it, you can get a frozen dough……I like Bridgeford brand. Or you can buy a pizza dough. I just used a basic yeast roll recipe this time. But some times I get a ball of pizza dough from my local grocer. You can also use the French bread dough in those cans that you slam against your counter. You know the ones. You stand back, slam it, it pops and you jump. Yeah, those! 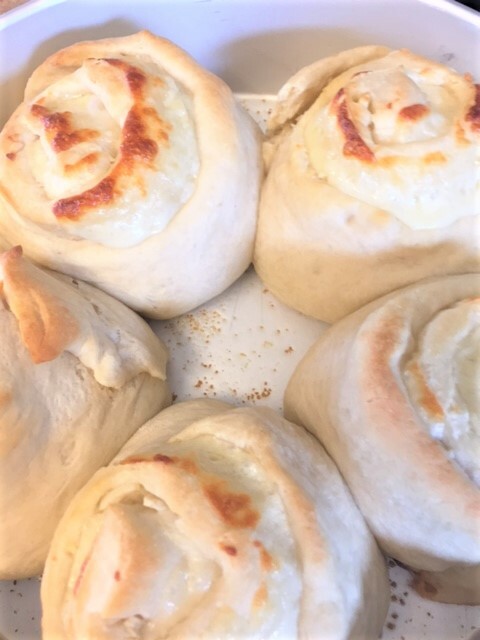 That dough is actually great for these rolls. Darn, those things scare the you know what outta me, every time! These are actually fun to make. 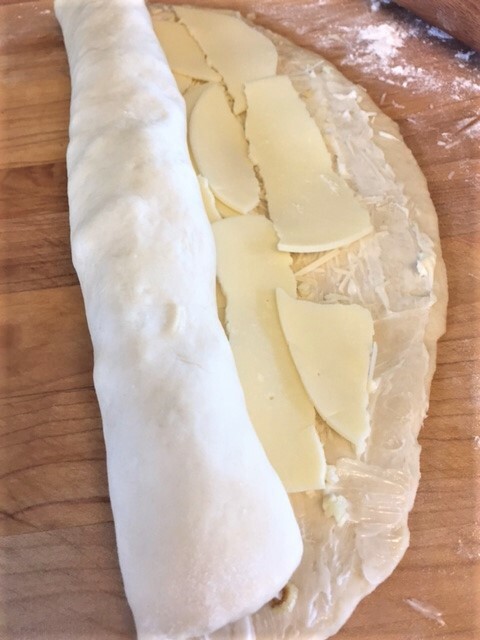 You just roll out the dough, spread it with butter and garlic. Sprinkle it with cheese and roll it up. Then it’s sliced and baked. Then, the smell of the garlic fills your house and you will be very happy. 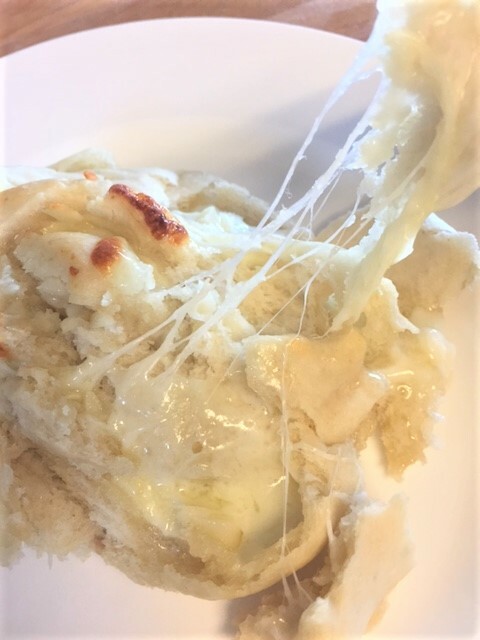 I only had some sliced provolone on hand this time, but it worked beautimously. 🙂 I do recommend using a shredded cheese though. Think of all the things you could stuff it with. 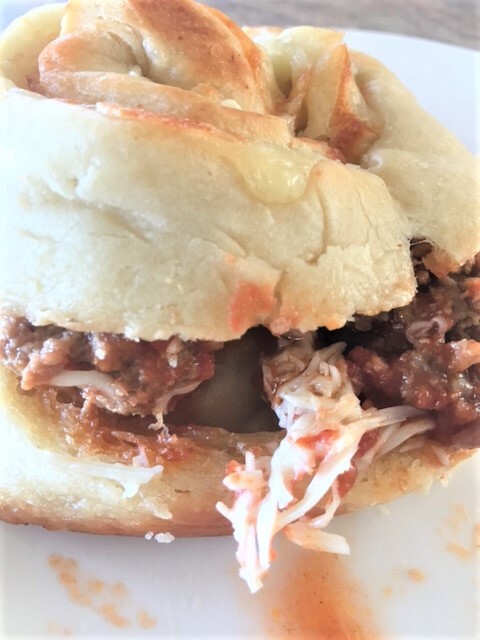 I should call this Stuff It rolls……you stuff the dough, you stuff your face and then your tummy is stuffed. Oh, I crack myself up. Ok, dumb. 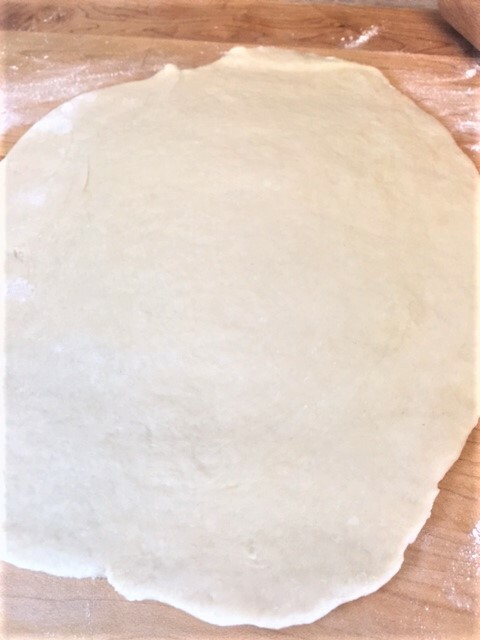 On a floured surface, roll out your dough into a rectangle. 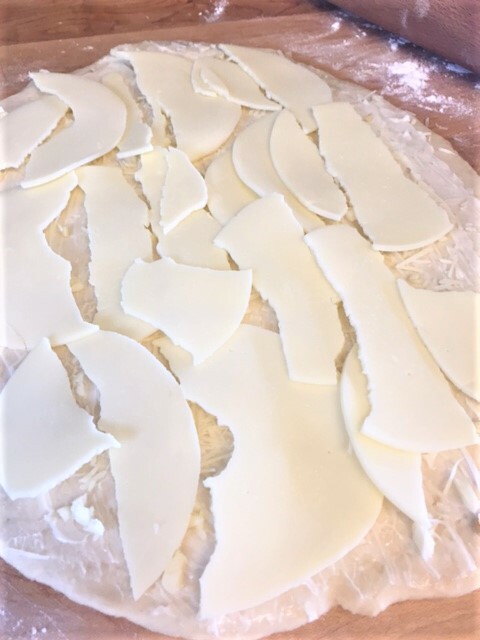 Carefully spread with very soft butter. Sprinkle garlic all over the butter. Or you can just mix the butter and garlic together and then spread. Cover the surface with the shredded cheese. On the long side of the dough, carefully roll it up like a cinnamon roll log. The seam should be down, on the bottom. Using a sharp knife, make slices every 2 inches. 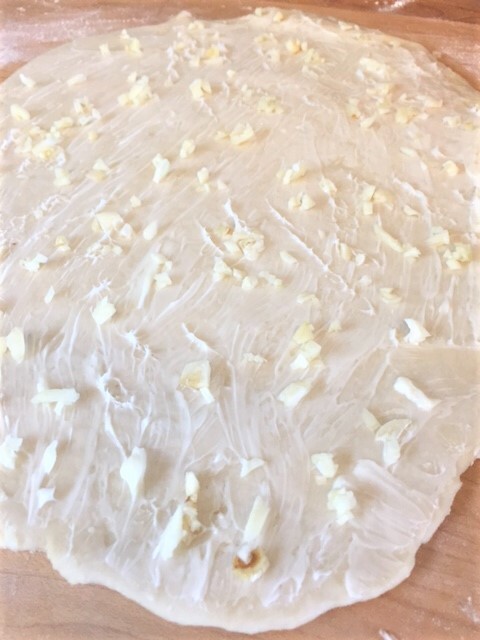 Carefully lift the slices onto a baking sheet or cake pan. I leave a little space between each roll, but it’s ok if they are touching. Cover with a dish towel and let it sit in a warm place for about 30-45 minutes. Depending on what kind of dough you use, they should rise. Preheat oven to 350 degrees. Remove the towel and bake for 15 – 20 minutes, or until lightly browned. At this point, you can drizzle melted butter all over the rolls, or spread some softened butter all over. 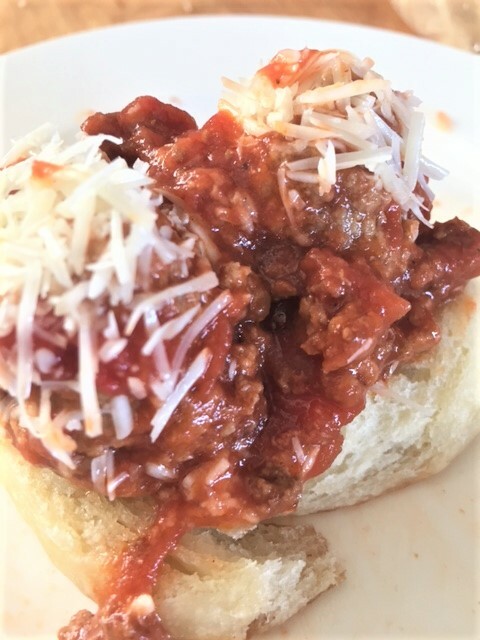 I even split a roll in half the next day and made a little meatball sandwich.